Apple now claims two "ultimate" Windows PC replacements, iPad Pro tablets and MacBooks, but the company should look to bridge the gap between those two hardware lines, some analysts say. As device usage and applications evolve, it will be harder for Apple to distinguish between the iPad Pro and products like the MacBook Air, analysts say. Apple has aimed the iPad Pro line at users interested in Web browsing and productivity applications and MacBooks at power users. But as more applications are likely to use touchscreens, Apple may need to develop products that merge features like touch with advanced computing capabilities. That sort of transition would mirror developments already happening on Windows PCs, where tablets and laptops are merging into hybrid devices like Microsoft's Surface Pro 4. Apple's iPads feature iOS and screen sizes under 12.9 inches and are targeted at users comfortable with mobile computing. Apple has pitched its new 9.7-inch iPad Pro, announced this week, as a tablet that can function as a laptop when needed, but it lacks features such as an SD card slot, USB port, and display ports that make it a true PC replacement. MacBooks have screen sizes starting at 11 inches and run Mac OS X, an operating system aimed at users needing a more full-featured computer. The merging of features from these products, in theory, could result in a product like a MacBook Air with a touchscreen and more port options than an iPad Pro. Those features could make Apple a closer competitor to Microsoft and its Surface, which can serve both mobile and power users. But any change in Apple's products won't come for years, analysts said. Apple risks confusing customers if it positions two products as PC replacements, said Bob O'Donnell, principal analyst at Technalysis Research. For now, Apple isn't yet ready to pit MacBooks against iPads, but over time may need to bring iPad Pro features to MacBooks, or vice versa, to meet the computing needs of customers, O'Donnell said. "Apple clearly believes that Mac OS, Mac apps and MacBooks should be touch-free, while touch-based apps belong on iPads and iOS," he added. "Over time, this seems to be more arbitrary and not well-suited to current demands." With the iPad Pro and MacBook Air, Apple is trying to reach the broadest number of users and applications, said Jim McGregor, principal analyst at Tirias Research. 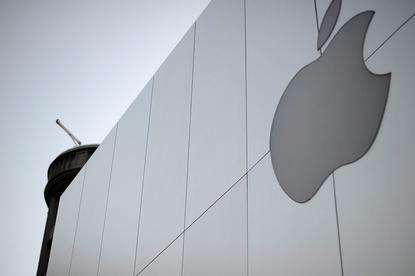 "Apple's difficulty is in managing two completely different hardware and software platforms," McGregor said. "If I was to bet on the future, I would bet on an Apple hardware-based platform with a single OS within the next few years." But there's a challenge in merging the two operating systems, said Kevin Krewell, McGregor's colleague at Tirias Research. Keeping the two OSes separated allows Apple to manage complexity in a way that Microsoft cannot when trying to merge three operating systems, for PCs, smartphones and the Xbox, into one core Windows 10 OS, Krewell said. There are additional hardware challenges. Apple's devices with iOS run on homegrown ARM-based chips, and Macs run on Intel chips. To merge OSes, Apple may have to move its Mac OS over to ARM-based chips, which is no small task because the company is already pushing performance boundaries with its own chips. "Apple had significant help from Intel in porting to the x86 architecture," McGregor said. "However, it is in Apple's interest to keep pursuing its own [chips] and to use them as widely as possible." Apple will ultimately figure out where to draw the lines in the Mac-iPad divide. The market will tell the company how to position each product, McGregor said. Apple's iPad shipments have been declining. The company shipped 16 million iPads in the first financial quarter of 2016, a decline from the 21.4 million units shipped in the same quarter a year earlier. Tablet shipments totaled 206.8 million in 2015, declining by 10.1 percent from 2014, according to IDC. But shipments of hybrids like the Surface and iPad Pro are growing, IDC said.